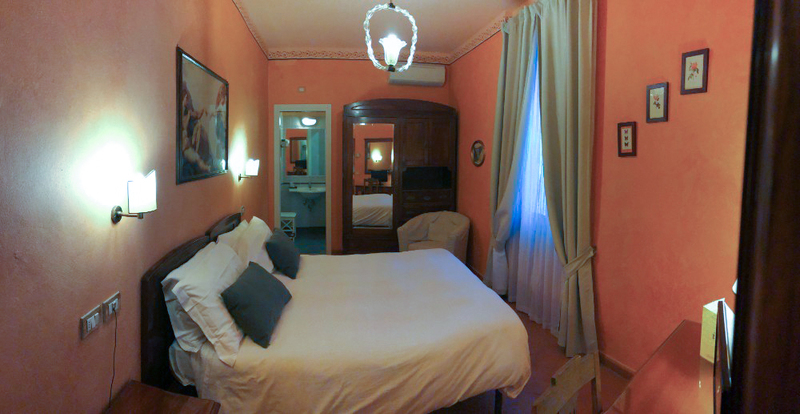 The Bellavista was born in 1906, where our family once lived in a late 19th century palace in the heart of Impruneta. 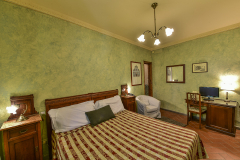 The building, which was restored in 2015 and beginning of 2016, retains the charm of 100 years ago in style and furnishings, but is equipped with the convenient comforts of today (hair dryer, television, air conditioning, heating, wi-fi etc). Being that it is a historic building, each room is unique in size and color, but all preserve the essence of our history. 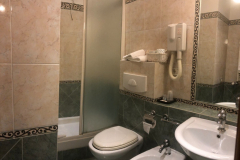 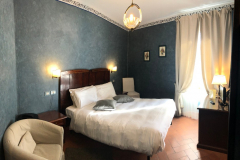 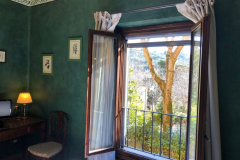 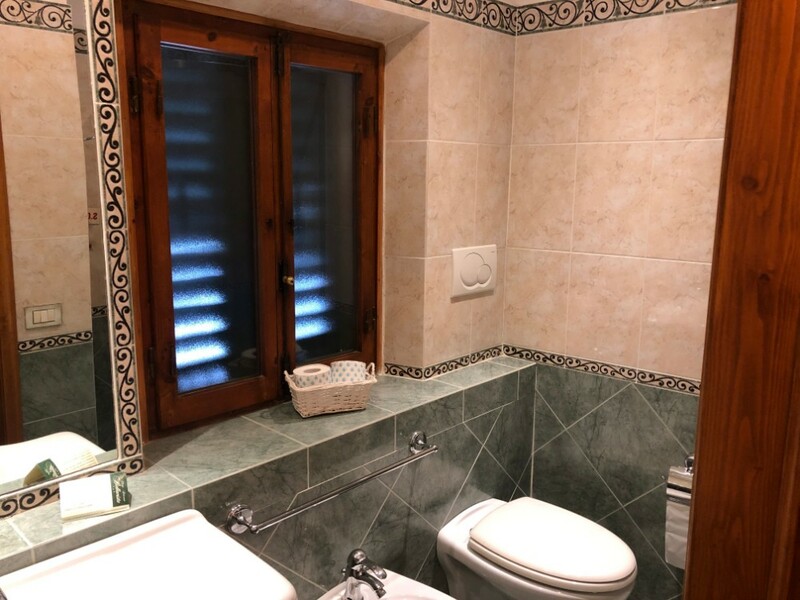 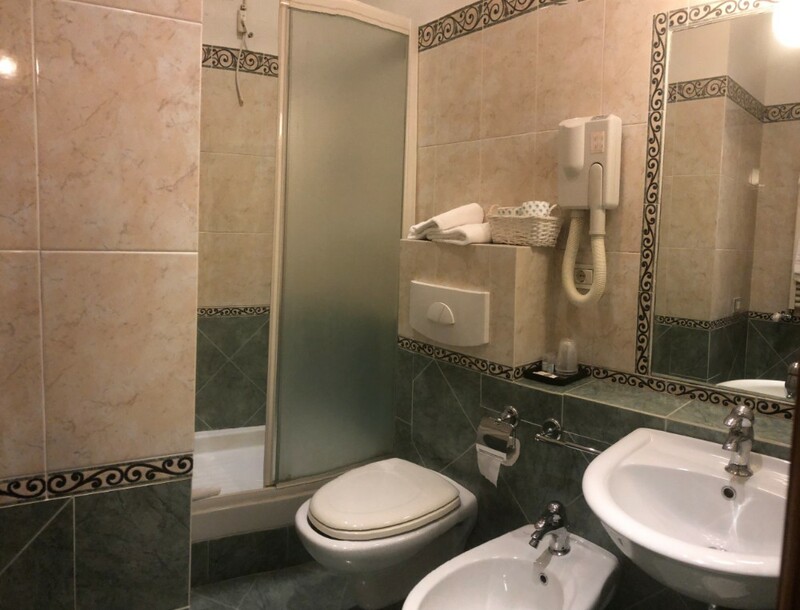 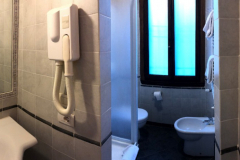 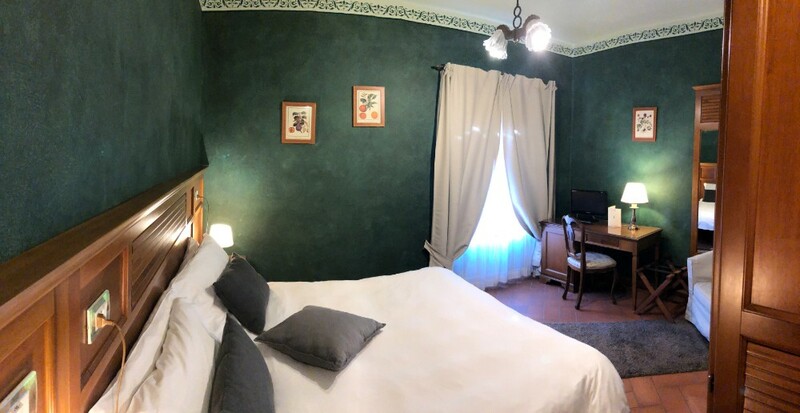 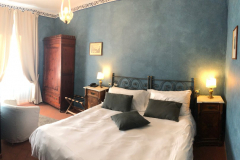 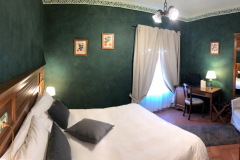 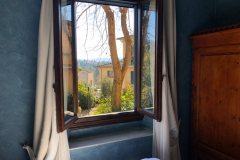 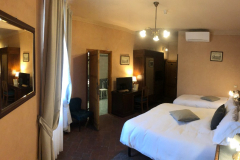 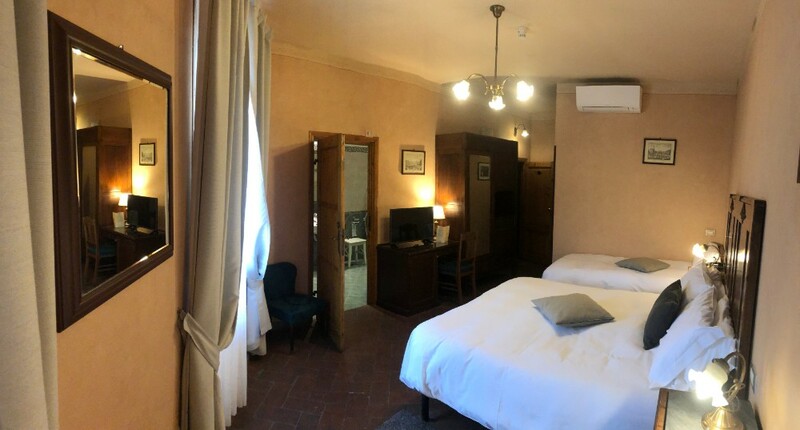 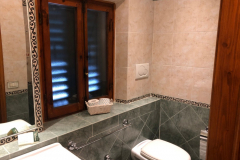 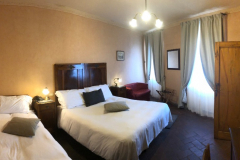 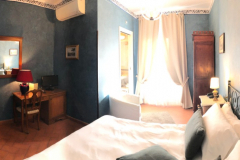 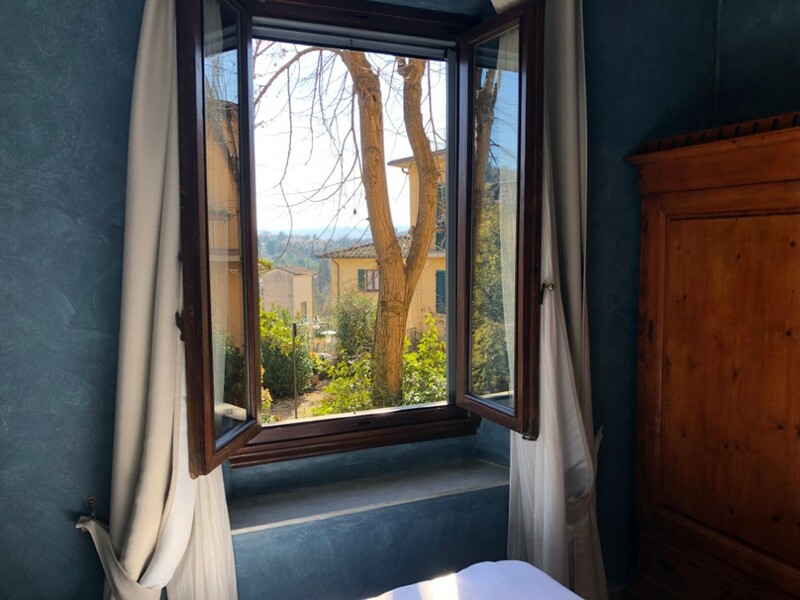 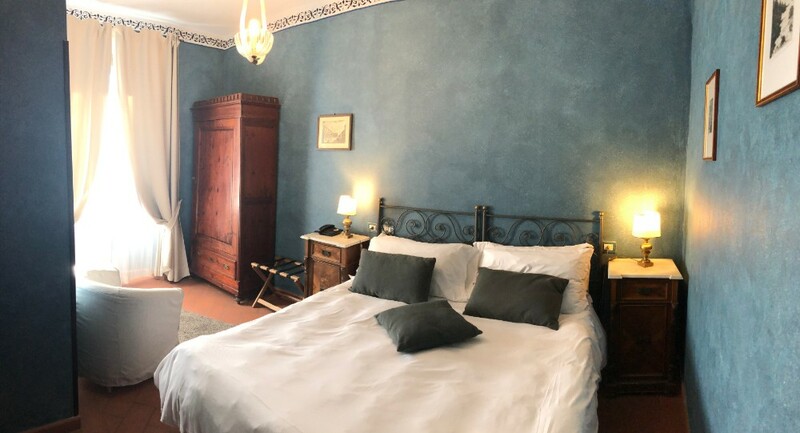 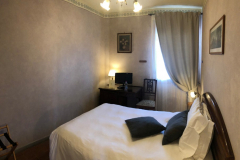 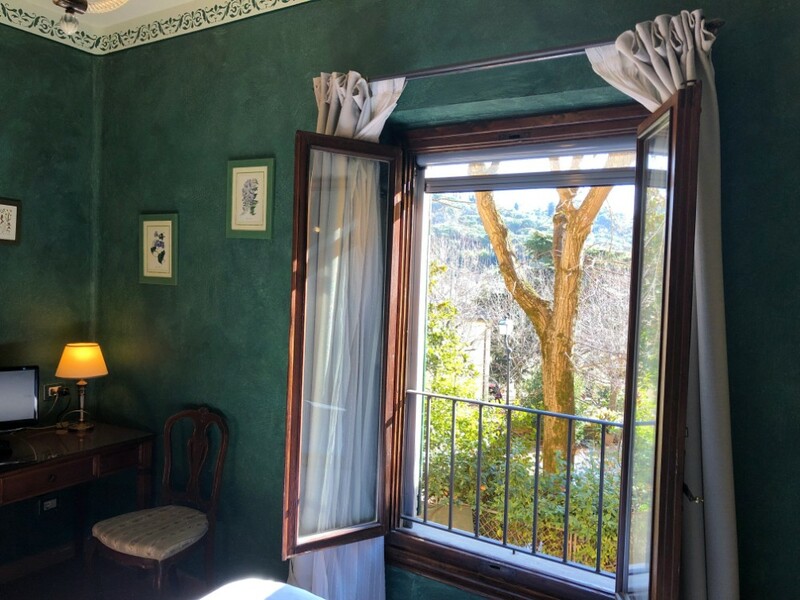 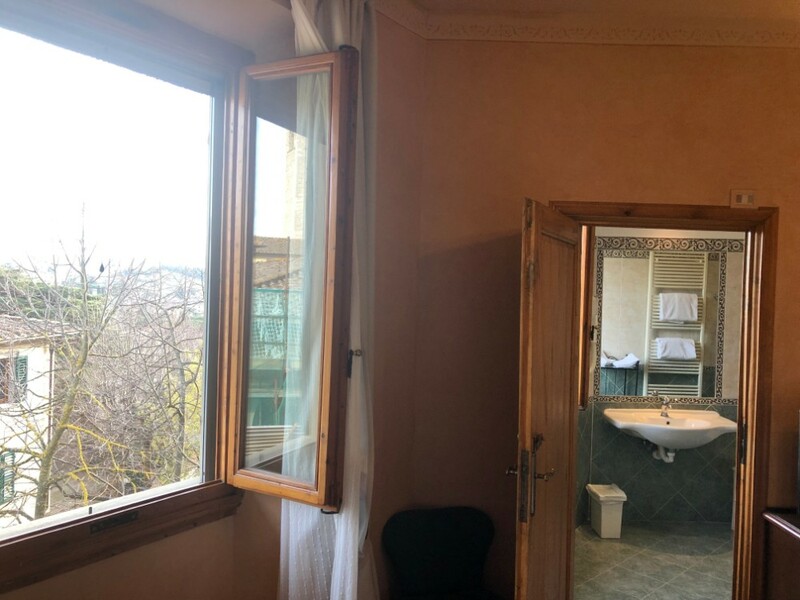 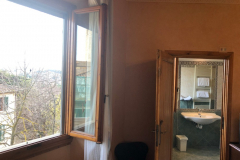 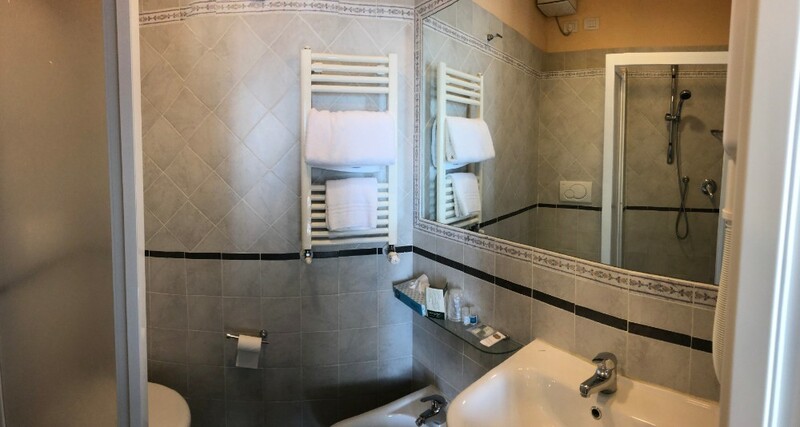 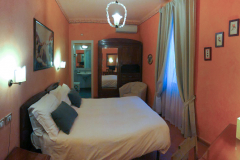 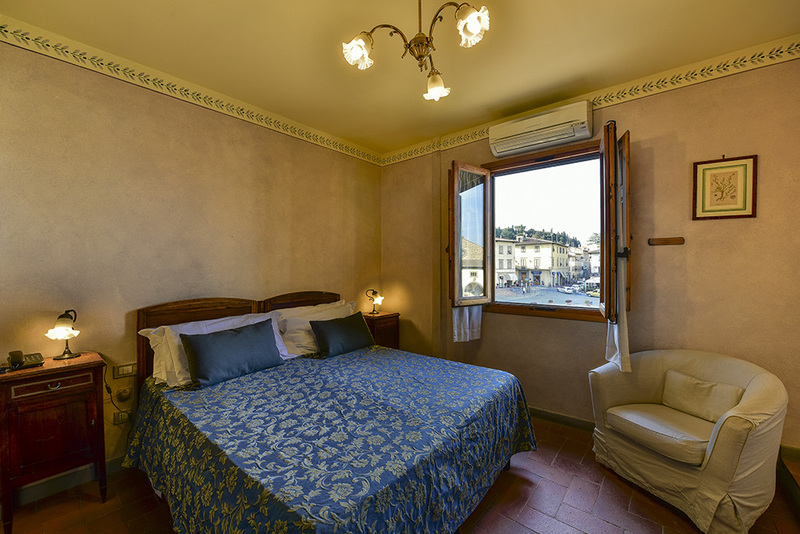 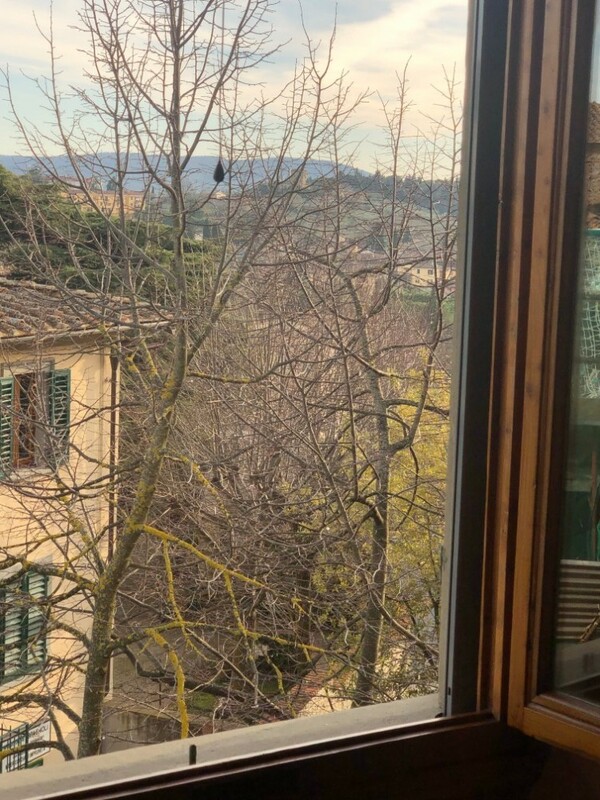 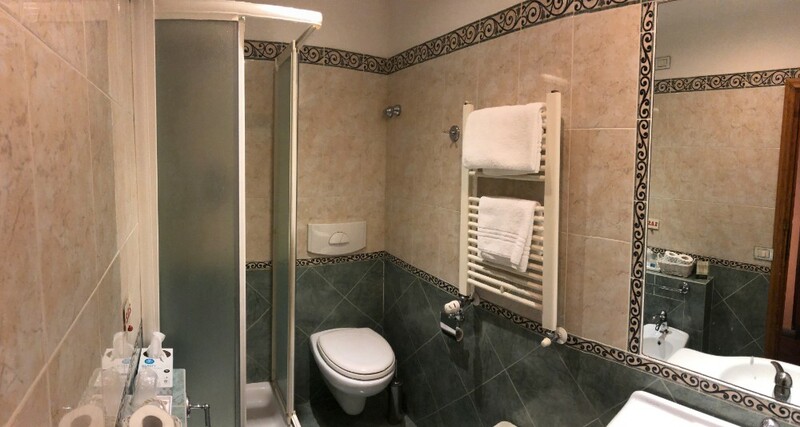 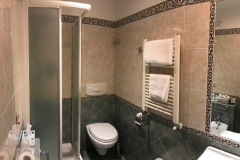 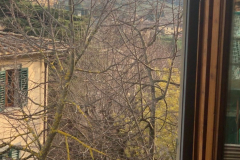 The rooms are very warm, welcoming and of traditional Tuscan style, with terracotta floors and a different wall color in each room (pastel green, rustic pink, light blue, or deep green). 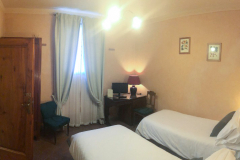 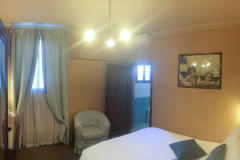 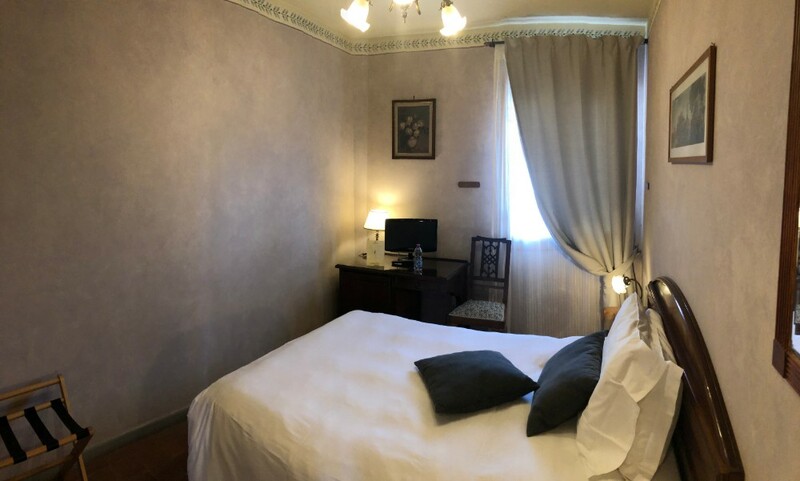 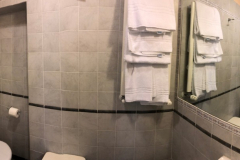 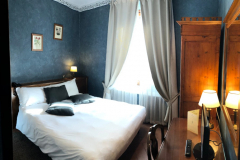 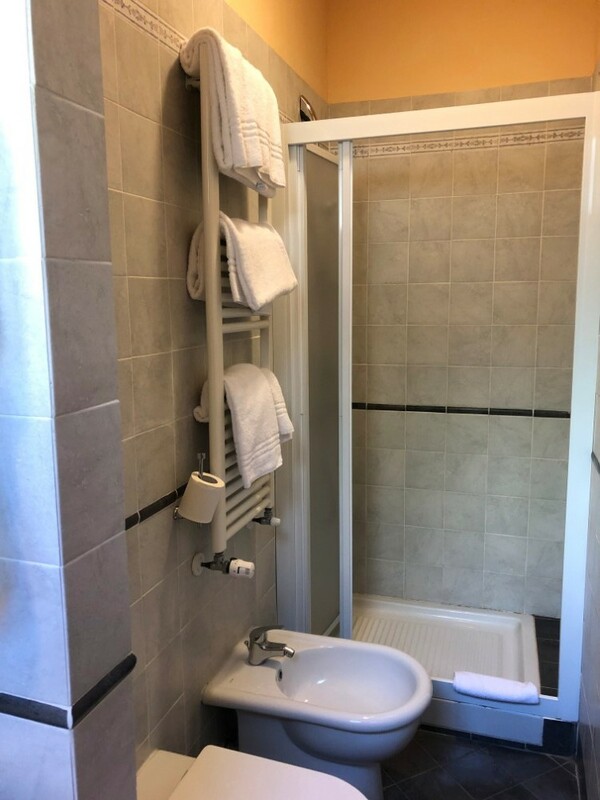 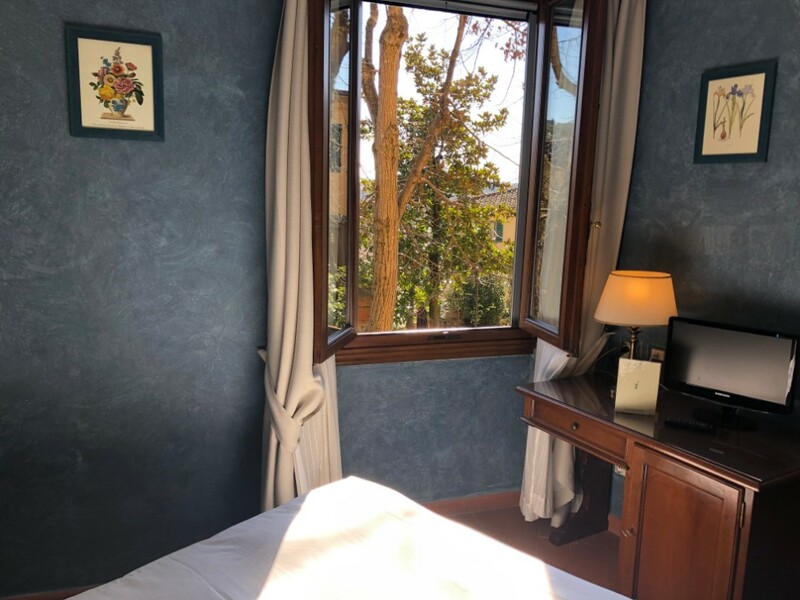 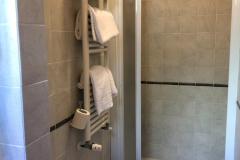 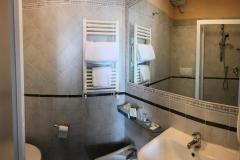 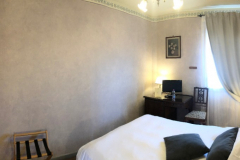 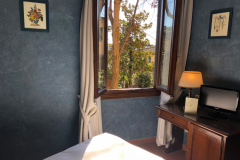 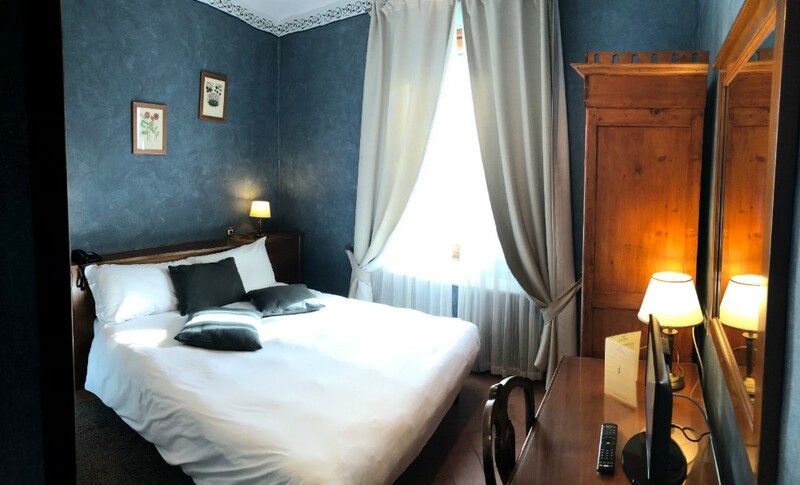 Our DOUBLE ROOM BASIC option is for those who are fine in a room that is a bit smaller than our classic double room, therefore saving a little money every night. 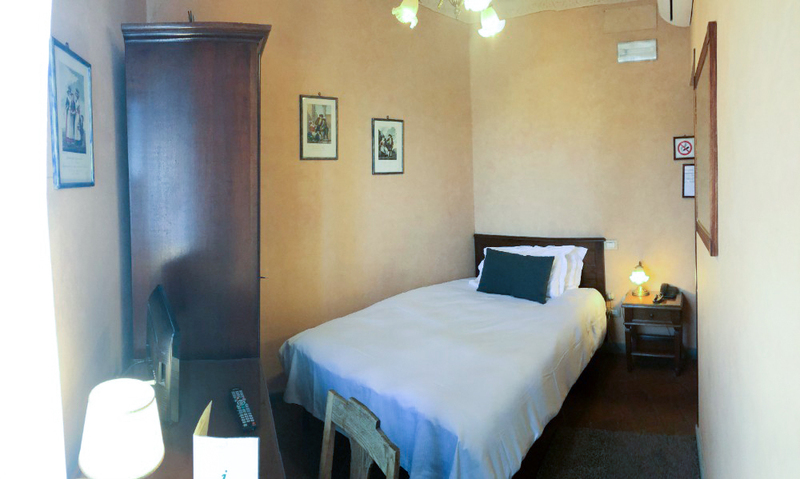 With this room, guests are able to stay longer with the same budget. 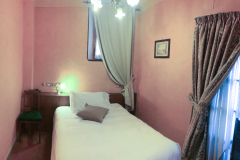 Double rooms can be arranged, on request, with a double bed or two twin beds. 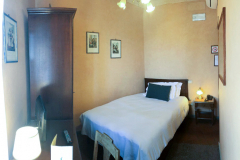 In this second option, the beds are not the Francesce but are standard single beds. 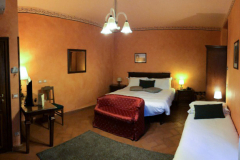 Triple rooms can be arranged on request with a double bed plus a single bed or three twin beds.